Greg comes from Co. Durham. 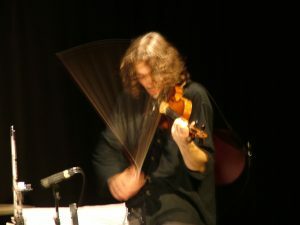 Growing up playing a variety of folk instruments, he studied violin (winning all sorts of prizes) at the Royal Northern College of Music before arriving in Scotland and playing in the Scottish Ensemble, The Orchestra of Scottish Opera, the Scottish Chamber Orchestra and currently the BBC Scottish Symphony Orchestra. 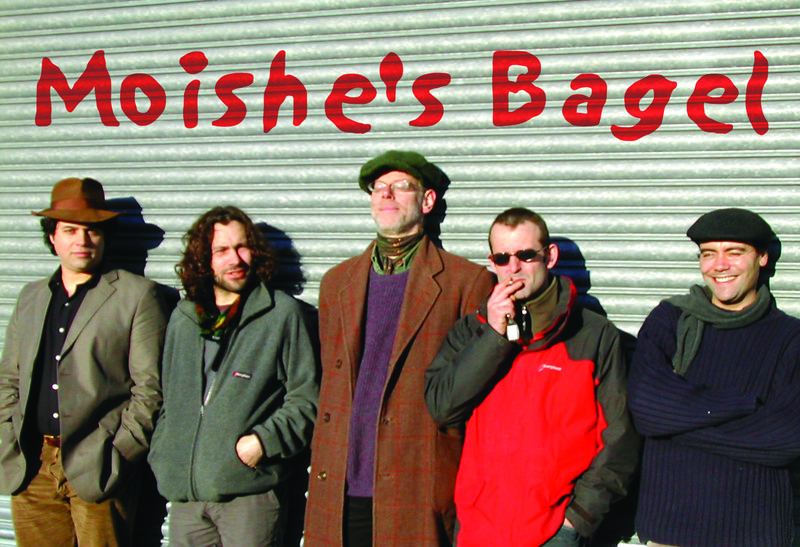 At the same time his broad interests and natural restlessness have led him into theatre, rock (on electric violin), Mr McFall’s Chamber, Salsa Celtica, The Dougie MacLean Band, Conductor of The True North Orchestra and of course Moishe’s Bagel. Greg was also the arranger/conductor/mastermind behind the recent groundbreaking Celtic Connections orchestral performances of Martyn Bennett’s GRIT album, televised by the BBC. Greg’s playing is characterised by intensity and a tone which sings every inch of the way. As a person he can be explosive, but always tremendously warm-hearted. His vibrancy and passion lends the band its intense force and sparkle.